We're looking forward to the annual Peabody Talent Show. This year we've divided the Talent Show into separate K-5 and 6-8 grade performances (the 6-8th grade performance will happen in the spring). The K-5 performance will be on Friday, November 30th at 6:30pm. 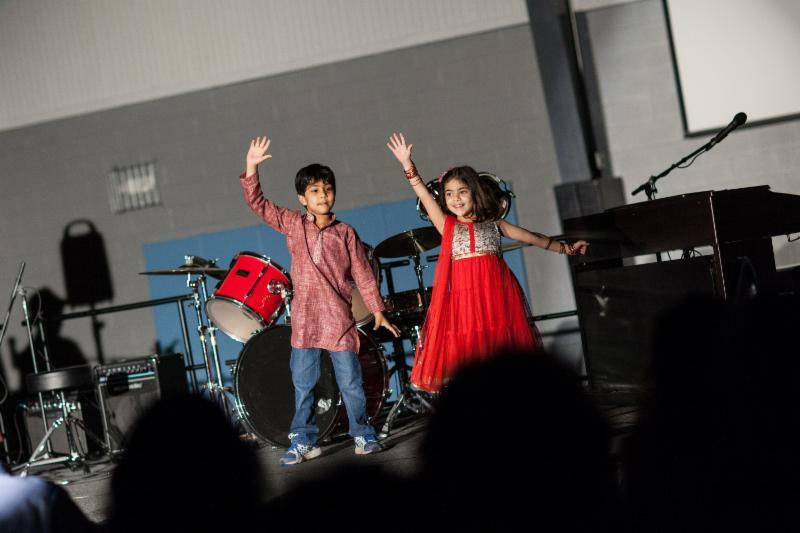 In order for your student to participate in the Talent Show, he or she needs to audition. Auditions will take place during music class time the week of November 12th so encourage your local talent to rehearse in preparation for auditions. Please email Matt Wyatt or Colleen Fennessy with any questions! 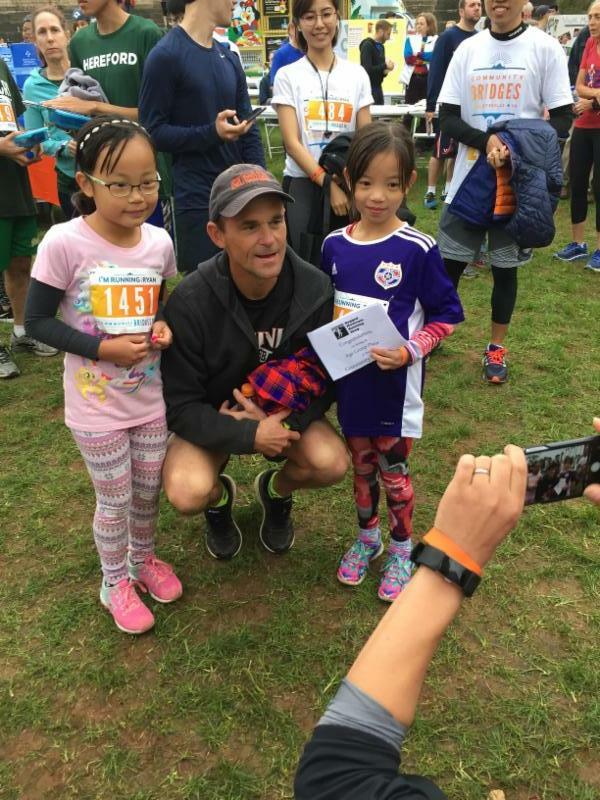 Congrats to 3rd grader Lisa Cang, who placed first in the female/9 and under division at this past weekend's first Community Bridges 5K . She got to meet both 1988 Olympic Gold Medalist and UVA grad Paul Ereng, as well as newly inaugurated UVA President Jim Ryan! The 7th grade built bridges from popsicle sticks and hot glue to learn about the distribution of forces through structures. They designed their bridges to span 2ft and be at least 7in wide. Their two main goals were to build the strongest bridge and the most economically efficient bridge. Supplies were purchased from the Peabody Construction Store at a cost of $1,500 per popsicle stick and $20,000 per glue stick. The bridges were brought to failure by suspending weight at their center point. 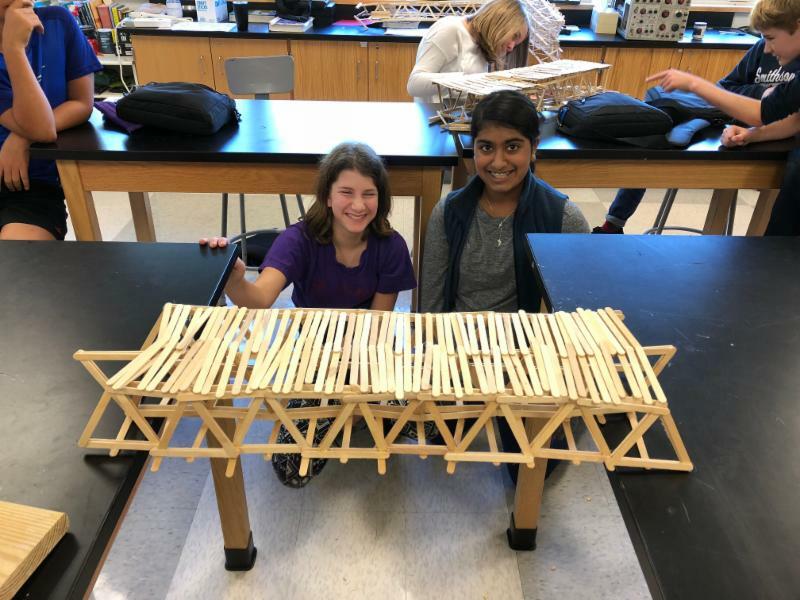 Congratulations to Jaya and Rudy for building the strongest bridge that broke at 35.6lb and congratulations to Felicity and Amee for building the most economical bridge that held 30.6lb at $605,000 (roughly $19,700/lb)! A special congratulations to Mary Emma and Grace for building a bridge that fell outside of the design requirements but held 58.2lb! We will be offering childcare services during Parent-Teacher Conferences on Thursday, November 1st and Friday, November 2nd. Childcare will be available each day between 8am-4pm. Childcare is to be used during a parent's conference time only. Parents should drop their children in the Peabody gym and sign them in. There will be board games, coloring, and gym activities. Donations will be accepted to support the 8th grade legacy project. Each year the 8th grade class raises funds for a legacy gift. Thanks for supporting our 8th graders! 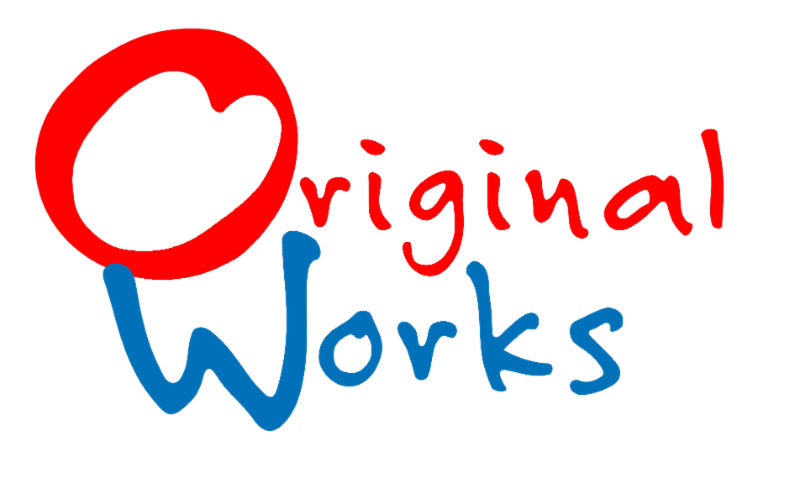 Original Works is an art fundraiser where you can purchase items with your child's artwork printed on them. You will receive a packet by next Wednesday in your child's backpack. In the packet, you will find your child's artwork, a products sheet, a price list and an order form. 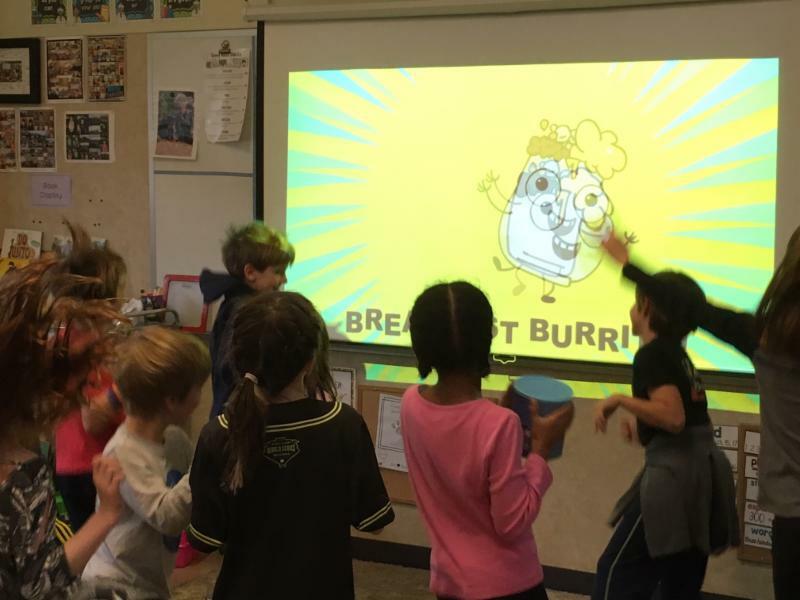 If you would like to order something (there is no obligation to do so), use the order form, write a check to Peabody School , and send it all back to your child's teacher. 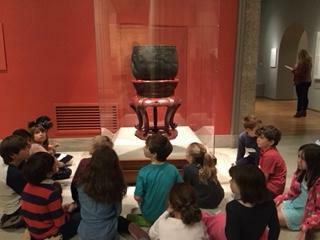 Although the Original Artworks are due back to school by Monday, November 5th. If you have any questions, please feel free to email Mrs. Rogan . 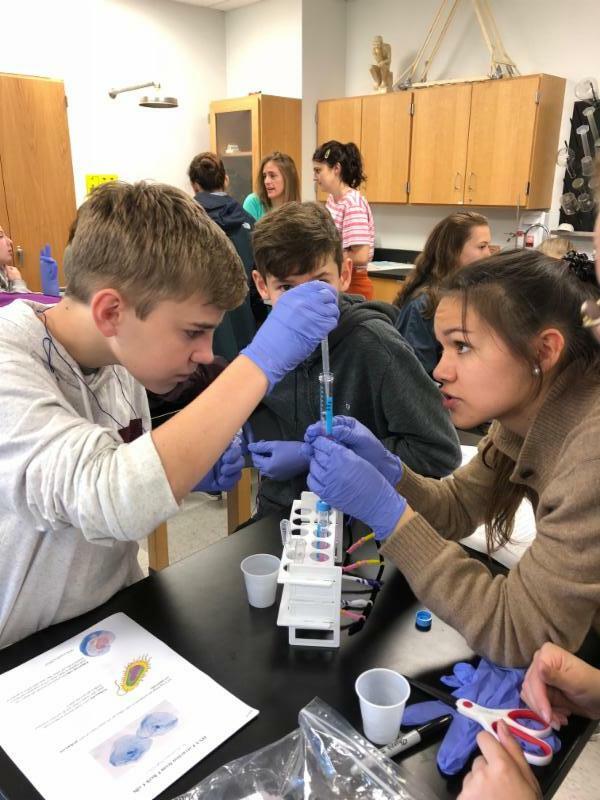 This week, the Renaissance School’s Synthetic Biology class visited our 8th grade to help them perform a DNA extraction from their cheek cells. They learned how to precipitate DNA from a solution and remove it which requires careful pipetting to obtain only the amorphous DNA. 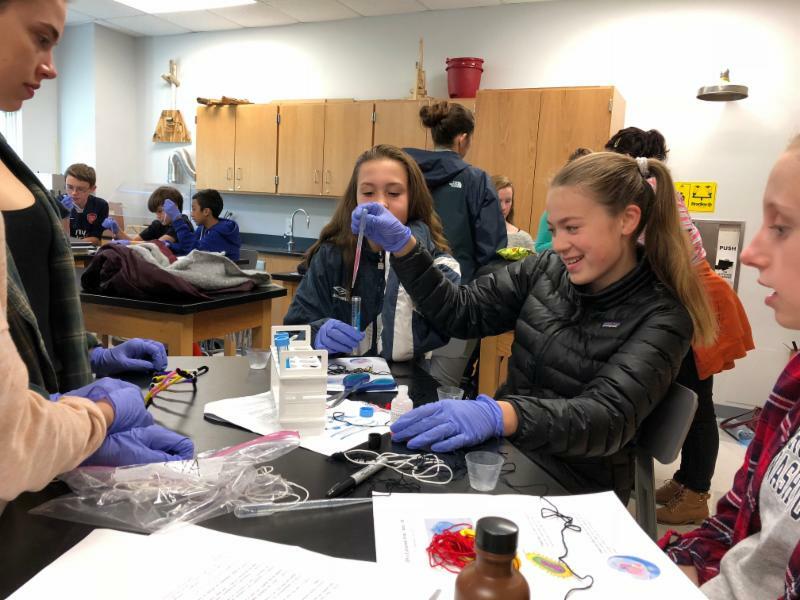 In December, our 8th grade will be traveling to Renaissance to learn some genetic engineering by inserting genes into bacteria that will make them grow different colored pigments. The Girls Volleyball team beat Tandem 3 sets to 0. The soccer team split two games this week by beating Waldorf 2-0 and losing a tough game to Charlottesville Catholic 4-1. 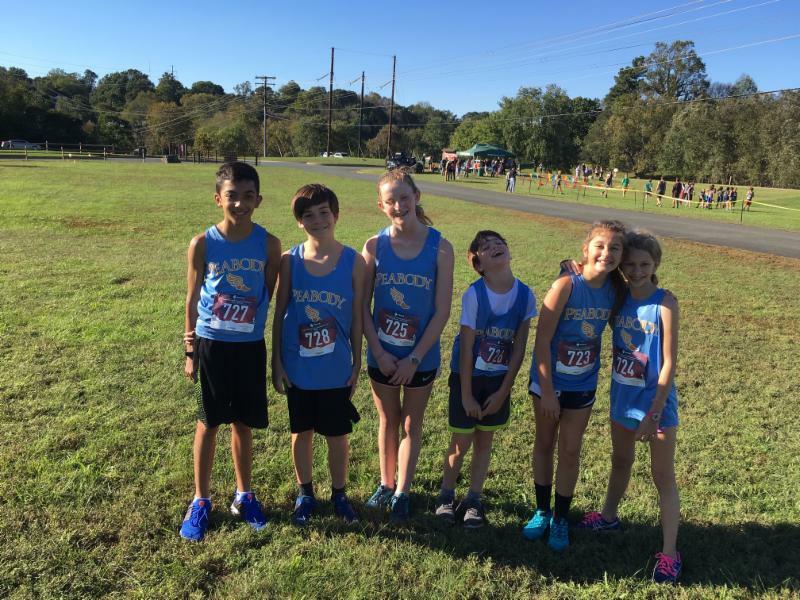 Congratulations to Caroline Grist, Ivy Lyman, Julianne Grunden, Benny Sherman and Gabe Damiani for competing in the Field School Cross-Country race. Everyone did a nice job and represented Peabody well! Mark your calendars! All parents are welcome to join us to discuss PPF events and other Peabody School news. The next PPF Meeting will be Tuesday, November 13th - 5:30 PM. We’ll make an announcement as we get closer as to the location. 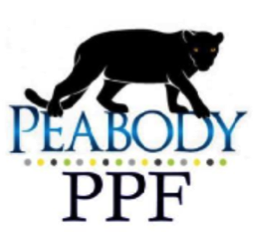 Contact: PeabodyParentForum@gmail.com All PPF events and PPF meetings will also be listed on the Peabody School Facebook page. There is NO SCHOOL on November 1st and 2nd due to Parent Teacher Conferences. Attraction Books money and/or unsold books are due back by October 31st. Money can go in the grey box in the front office (it needs to be labelled and ideally in the attractions envelope) and unsold books can be dropped off to Ms. Fennessy﻿. Renaissance School is hosting a workshop, The Road to College: A Workshop for 7th & 8th Grade Parents. It is open to all parents of middle school students who may be new to the process of college counseling in high school. For more information, please see this flyer. The Curry School at the University of Virginia is running a Saturday Enrichment program for gifted and high ability students in grades K-5 staring in January. Please see more information here. The Clinical Psychology Program at the University of Virginia is looking for student volunteers to be tested by their graduate students. Please find more information here. 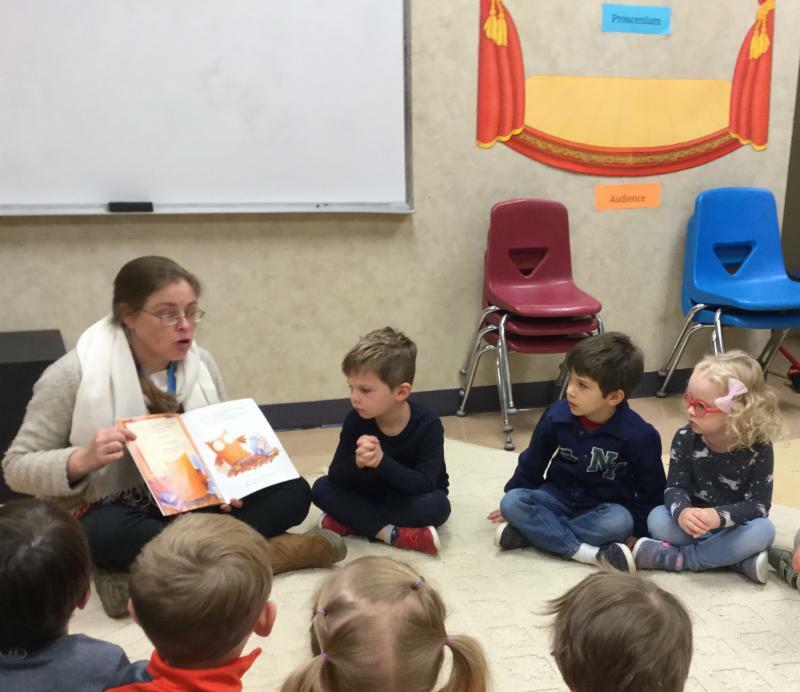 Another Great Week at Peabody School!